DAVID LE/Staff photo. 2/19/15. 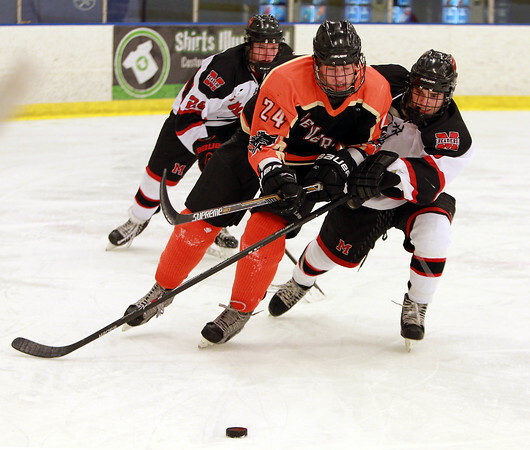 Beverly junior defense Sean Hanlon (24) tries to shield Marblehead junior forward Colin Daly from the puck.